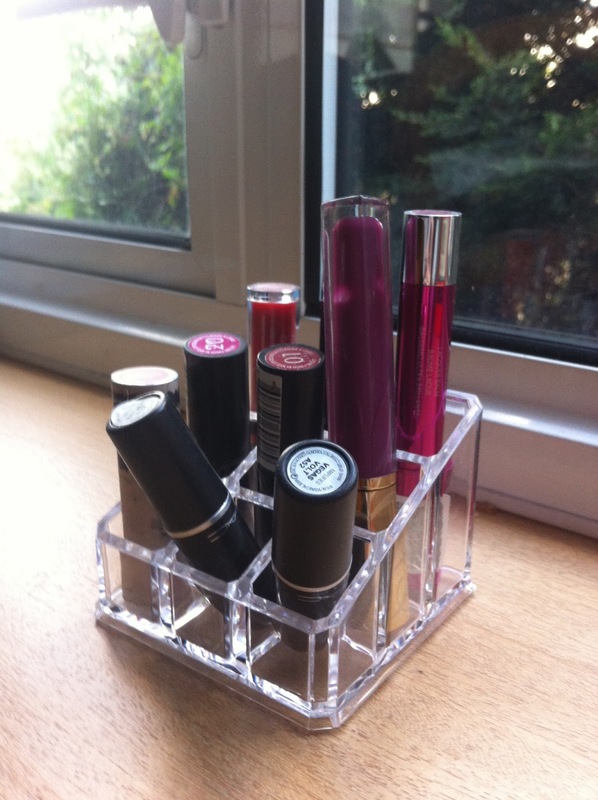 If I had a favourite beauty product, it would have to be lipstick. I like that it's really easy to whack on and instantly makes you look 'done', which for someone like me who is both cack-handed and lazy is ideal. However, despite having a fairly large collection squirreled away in various drawers and bags, I don't wear those I have anywhere near as much as I should. So I've decided to do a '30 days of lipsticks' challenge. Every day in September, I will wear a different lipstick (or gloss, or tinted balm - mainly as I'm not sure I have 30 'proper' lipsticks!) and take a photo of it. I'm hoping it will get me to use my lipsticks more and to try some different colours - although I'll warn you now that the vast majority of them will be reds, as I am that person who buys very slightly different coloured lipsticks and then ends up with loads of the same colour. I'll be posting each day's lipstick on my Instagram - you can follow me here - with the hashtag #30daysoflipsticks, and track the lipsticks I've worn so far in this post. There will also be a mini review of all the lipsticks I've worn in the last week so you can see what I thought of them. Wish me luck! Have you ever done a '30 days' challenge? How did you find it? And are there any tips you'd give me?